Original Motorola Product. Motorola Part number : SPN5492A. 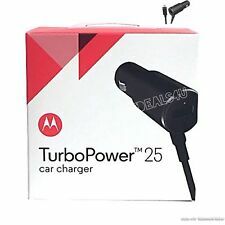 Motorola TurboPower 25 QC2.0 Micro-USB car Charger w/Extra USB-A Port for Moto G. Condition is New. Shipped with USPS First Class Package. It is genuine OEM Motorola! SOLD AS SHOWN. Type: OEM / Motorola.Model #: SPN5400. I860 i830 i733 i730 i710 i530 i325 i315 i305 i285 i265 i215 & i205. It does have scratches and marks on it but it does work. It fits the following Motorola cell phone models. COMPATIBILITY: Motorola Xoom Tablet Mz600 Mz601 Mz603 Mz604 Mz605 Mz606 P/N mp5632a Ma 89452n 89453n Sjyn0597a Spn5633a Spn5633 and others. Compatible with: Motorola XOOM Tablets. Like new condition. OEM Motorola Part Numbers: SYN1830A. (that uses your car battery to power your phone. while charging your battery. ). Model # 0291. Condition is Used. W ill answer any other identifiers. 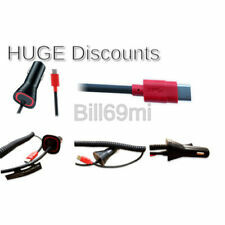 Includes Cigarette Lighter adapter, leather carrying case and hands free headset. New in Box. 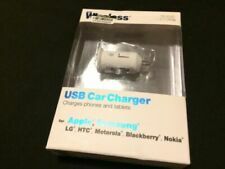 Motorola VCA400-01R Auto / Car Charger for MC45 / ES400 Free Shipping! The Motorola brand, also known as Moto, was founded in 1928 as a telecommunications company and has gone on to produce numerous cell phones and similar mobile devices. Because its devices don't have a proprietary port, you can use most car chargers with a microUSB extension. This guide will help you find the right charger to fill your phone's battery so you're not caught on the side of the road with a flat tire and a dead cell phone. How many amps should the Motorola car charger provide? You can find car chargers in many different amperage levels. There are some that provide less than one amp while others go up to two or more amps. The amount you need largely depends on the specific device you connect to the charger in your vehicle and how many devices you intend on connecting. Selecting a car charger with fewer amps than needed will usually still charge the device but may take hours longer than if you selected a more powerful unit. 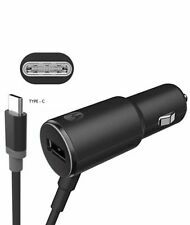 What are the different types of Motorola car charger adapters? Permanent cable: These chargers come with the cable connected directly to the adapter. This means you don't need any extra cables, but they only have a single USB port and the entire unit must be replaced if the cable fails. Port-only chargers: These adapters have a USB port that allows you to connect a cable to them. This allows you to choose the cable you need and allows you to use a new cable if the existing one fails. 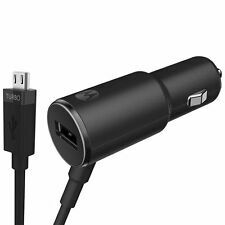 What features should you consider for a car charger? 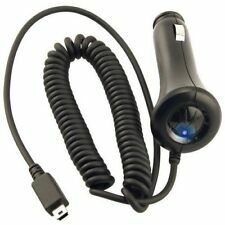 Car chargers used for Motorola cell phones or any other manufacturer come with various extra features. Most of the features are optional, but they add additional functionality to the charger and may suit your needs better than a standard charger. Multiple ports: Some chargers come with multiple USB ports. This allows you to connect several USB cables to the car charger and charge numerous devices simultaneously. However, you may need a higher amperage to charge multiple devices in your vehicle properly. Quick charge: Quick-charge adapters are made to push a little more power into your device, allowing it to charge faster than with a regular charger. These can typically fill your battery to about 60% in 30 minutes, but the speed slows down after that to avoid overloading the device. Power light: A power light is simply a little red light on the side of the adapter that tell you it's charging a device. This will show you that the charger is actively recharging your device without making you check the phone itself. Content provided for informational purposes only. eBay is not affiliated with or endorsed by Motorola.